Je sais pas si tu parles francais, mais je te dis sérieusement, tu devrais devenir une sg ! Tu es trop belle et tout ! ohhhh tant pis ahah, je vais m'abonner à ton instagram debord !! Love your eye with the camera. Love your profile pic BEAUTIFUL LADY !!! I hope you are aren't freezing up there in Quebec! We are having a stretch of warmth here in the Upper Midwest of the States! Wow! Love your gorgeous face! 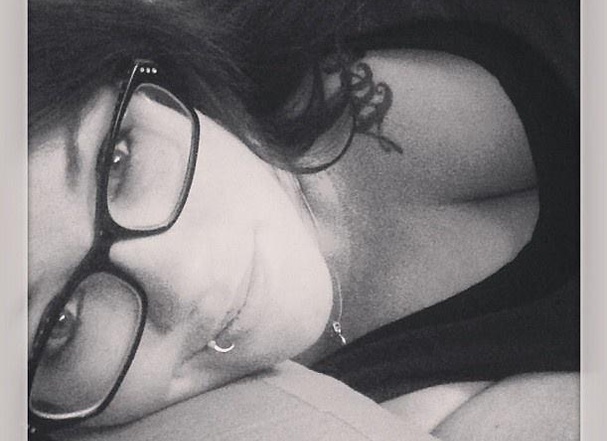 Glasses and a lip piercing with stunning eyes, swoon! So beautiful! You did a great job on Vxmpires set. All the colors are amazing and you really brought out how gorgeous she is. A photographer with talent makes a big difference, and you have that. You do some beautiful work !!! you did the debut set for maezee?